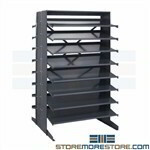 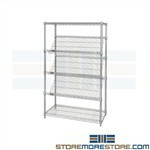 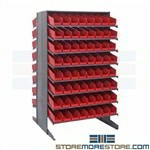 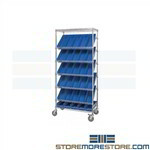 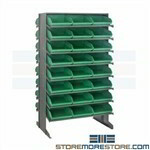 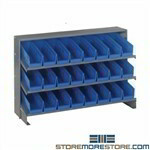 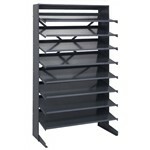 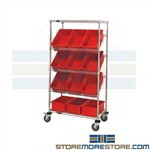 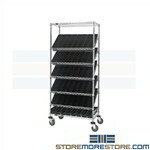 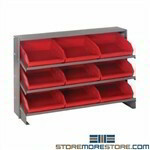 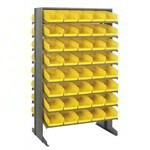 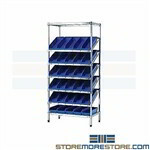 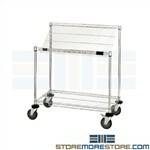 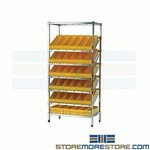 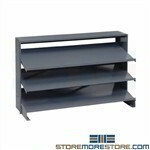 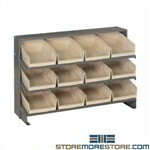 Slant bin shelving is sloped to keep stored parts in the front of the bin for high visibility and quick, easy picking. 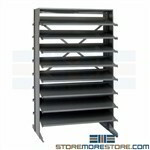 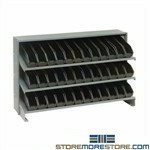 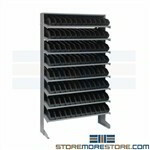 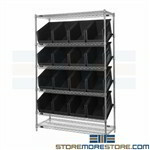 The sloped bin shelves are ideal for storing small inventory and supplies in medical, electronic, and industrial picking applications. 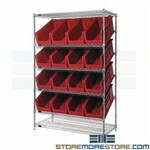 This 47-second video shows various features of the slant bin shelving for high visibility storage and picking applications. 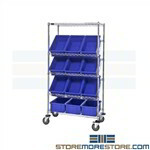 Call us toll free at 1-855-786-7667 or send us a message for more help.